The third generation Expedition is finally unveiled with all new looks and body-on-frame and features inspired from its cousin sibling Lincoln Navigator. 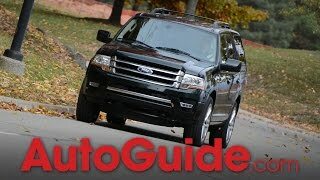 With this all new Ford Expedition 2015 company is offering efficiency, looks and comfort. If asked from us we would call it as a commendable step to compete in this growing automotive market. 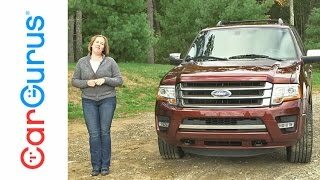 Let us have a descriptive look at the entire Ford Model. Interior of Ford Expedition 2015 has been commendably designed, featuring remarkable style and unique features that takes it a mile ahead of its predecessors. First to grab your attention inside Ford Expedition 2015 cabin is the 8” MyFord Touch infotainment screen mounted right above the center stack. Satisfying storage space is also provided in the center stack close to the HVAC controls. First neighbor to the left of center stack are three sets of controls giving spontaneous command over damping suspension, trailer brake and four-wheel-drive selector while to the right is a 12-volt power outlet sitting amidst few more items from the house. Inspired by Fusion Hybrid, Ford Expedition 2015 driver is offered with dual 4.2 inch screens on each side of speedometer integrated with vital information like oil temps and transmission. In all apart from these there is enough of space across comfortable seats giving you easing over long rides. Exterior of Ford Expedition 2015 is aggressive and manly with its looks. Ford Expedition gets an all new grille sitting amidst the LED headlights while lower part comes with a newly designed bumper, featuring large air intake for engine in center while the two ends are adored with fog lights. Moving towards the rear end of Ford Expedition 2015 you have liftgate getting the desired looks through a chrome bezel running horizontally. Beneath is a newly designed exhaust pipe with a chrome tip. Another vital change that grabbed our attention, are the aluminum body panels that looked really attractive to us. 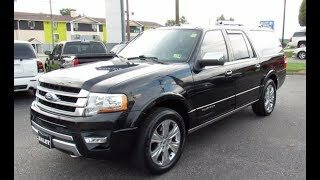 Rounding up the entire exterior of Ford Expedition 2015 is well designed to grab the eyeballs while you are over your ride down the lane. 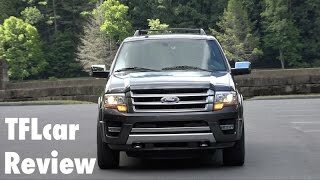 This is where Ford brought a major change in Ford Expedition 2015 by replacing the traditional 5.4 Liter Triton V8 engine and hides beneath its hood a 3.5 Liter, twin turbocharged EcoBoost V6 engine. Though the performance specifications are not revealed but expectations are that engine will deliver enough power to compliment the looks while being an EcoBoost will serve the lowering of fuel efficiency and CO2 emission stats also.